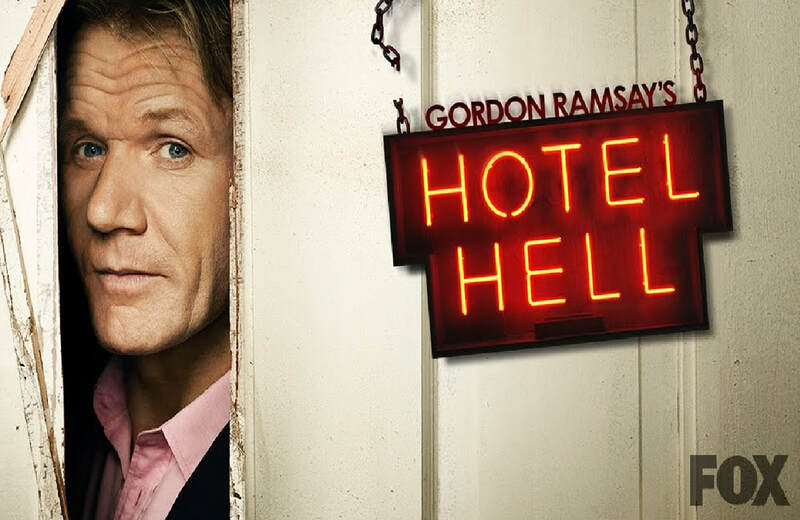 Robert Dean II appeared in the maiden edition of Hotel Hell in the episode "Juniper Hill Inn." Robert viewed the Juniper Hill Inn as his own private castle and his staff as his serfs. Robert was an arrogant owner who loved to show-off. He had the hotel filled with antiques. He had his $100,000 motorcoach parked outside the hotel. He also loves to throw parties and lets his friends stay at the inn for free. Robert treats his staff like indentured servants and does not pay them on time. He also underpays them. Executive Chef Giulian only makes $400 a week which is far below the pay scale of an executive chef in a luxury hotel. Also the server Barbara made $6000 for an entire year which is only $500 a month. The former chef Ida left because she was not paid on time and had a hard time getting reimbursed for the produce she bought on her charge card. Aside from treating their staff like second class citizens, Robert has a very snobbish attitude. The prices of the hotel are way higher than what locals could afford. Their three course meal costs $59 plus a $15 surcharge if you want lamb. The restaurant at the inn is also reservation only and you could not just walk in. The prices of the rooms are also high at $350 per night with a minimum of a 2-day stay. Robert shows his true colors during the post dinner service meeting Gordon had with the owners and employees of the Juniper Hill Inn. He argued with Gordon and said that if the employees did not want to work at the Juniper Hill Inn they did not have to. Gordon then leaves the meeting disgusted with Robert's selfish, arrogant and pompous attitude. The second part of the episode shows that the situation was worse. Robert was not only underpaying, delaying salary payments and treating his staff poorly, he was stealing employee's tips. Robert is finally humbled when Gordon hires the services of Amy, the head auctioneer at Bonhams. She values Robert's entire collection at $25,000 as it was full of copies and reproductions. Also, many of the antiques had conditioning issues. The collection that Robert valued at $300,000 turned out to be much lower than expected. Because the hotel was in so much debt and was mismanaged for far too long, the hotel went into foreclosure in April 2014.